Principled Strategies' SafeUseNow, a 2014 Knight News Challenge winner, uses data to identify incidents of prescription drug abuse by tracking combinations of prescribers, patients and pharmacies that may be contributing to the problem. The Knight Foundation today announced the latest winners of its News Challenge grantees. This latest round focused on health data and included projects from youth counseling via text messaging to chemical analysis tools and connecting communities with local health services. Seven winners received a portion of the $2.2 million total in grants. You can check out the live-stream of the announcement here. Health data is a new focus for the contest, which seeks to support innovation in media. In Camden, New Jersey, as in many U.S. cities, 1 percent of patients generate 30 percent of health care costs. Many of these patients arrive in emergency rooms seeking care for easily treatable or preventable conditions; they often face a fragmented, uncoordinated and expensive health care system. The Camden Coalition of Healthcare Providers addresses this problem by sharing data between the city’s hospitals and providers to better target resources and proactively tackle patient health issues. The Camden Health Explorer is the next step in this effort. The open source tool, built in partnership with data firm BlueLabs, will aggregate anonymous individual health and medical claims data, then display and map the results by demography and geography. Camden Coalition staff will work with local stakeholders, including hospital administrators, providers and policymakers, to ensure the data make Camden’s health care system more efficient and ultimately make patients healthier. The dashboard will make the tool available to other communities. Crisis Text Line provides youth with free counseling via text messaging. Over its 5 month beta phase, it has helped teens in crisis with more than 14,000 text conversations. Created by DoSomething.org, one of the largest organizations in the country for teens and social change, Crisis Text Line provides intervention and live referral services from trained counselors, reaching teens through a preferred means of communication: SMS. With challenge funding, Crisis Text Line will launch the service nationally and create a national, anonymous database about teens in crisis to inform further initiatives in this area. People are increasingly concerned about exposure to of hazardous chemicals — from formaldehyde in building materials to fumes from industrial sites — and their long- and short-term health impacts. To address this problem, the Public Laboratory wants to provide more low-cost chemical analysis tools, including simple devices that can be plugged into smartphones and laptops, so residents can measure the effects themselves instead of relying on costly labs. With its community of more than 3,500 active members, Public Lab raised $110,000 from more than 1,500 backers in 2012 with a Kickstarter campaign to use DIY spectrometry tools to identify petroleum in sediments in coastal Louisiana and monitor emissions from oil refineries, among other projects. Knight funding will allow the lab’s Homebrew Sensing Project to expand, improve its hardware and software, and connect with citizens to collect data that empowers communities. Launched in beta in San Mateo County, Calif., by a team of Code for America fellows, this open source tool connects citizens with community resources through one centralized database. Ohana helps people locate social services, displays them on a map and makes the results easily printable. This database unites information on health, human and social services that are often kept in separate silos, such as paying for food, finding affordable health care or connecting with a social worker. Exposing the data through a Web API, the tool allows users to quickly access targeted community information through applications such as search engines, smartphones, or SMS. Patients today have greater access to their own medical records, but they are limited in their ability to share that information, which hinders the potential for advancing medical research. To address these problems, the Open Humans Network will create an online portal to connect people willing to publicly share data about themselves with researchers. The portal will include three components: a personal page that will allow participants to set up their data profile; a public data explorer enabling people to use data compiled from participant profiles; and a set of design guidelines for researchers looking to use a collaborative data sharing model. The Solutions Journalism Network seeks to broaden the role of journalism: it should not just uncover society’s ills, but also report on responses to those problems. Founded by authors of the New York Times “Fixes” column, the Network works with newsrooms looking to include regular coverage of how communities, individuals and institutions address challenges and what society can learn from such efforts. Using this framework, the Solutions Journalism Network will collaborate with partner newsrooms and the Institute for Health Metrics and Evaluation to scan data sets for “positive deviance” in the health sector— examples of promising health results that could lead to important stories. For instance, a journalist working in a city that has been unable to help people increase their levels of physical activity could identify cities that have succeeded in doing this and report on how the gains were achieved. Solutions Journalism Network will coach newsrooms to identify, vet, develop and write these stories. Since the 1990s, prescription drug abuse has significantly increased in the United States. However, a lack of actionable information about prescription drug abuse risk, despite the increase of state monitoring programs, makes it difficult to combat the problem. 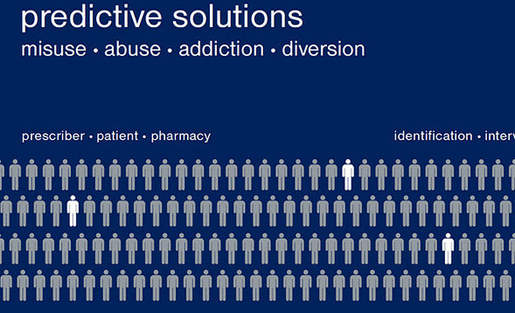 SafeUseNow aims to reduce abuse by making prescribing safer and more effective. The tool uses data to identify combinations of prescribers, patients and pharmacies who may be contributing to the problem. This information helps pharmacies, insurance companies and other health care stakeholders educate prescribers to more effectively and safely treat patients. It also allows them to monitor prescribing patterns for changes in trends and behavior. A successful pilot with one health plan provider achieved a significant reduction in key risk factors. With Knight Foundation funding, the team will scale the project for use by Medicaid plans in California and aims to spread around the country.